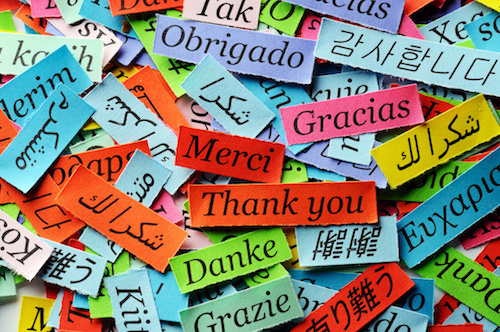 Here are some quick thank you note phrases for all occasions–casual, formal, and even gifts you don’t like. You can even use these for voice mail messages, speeches or when receiving a compliment. Since it is rude to criticize a gift or lie, here are some positive or neutral thank you card phrases. These thank you note phrases can be used to say thanks for all kinds of gifts even the ones that, to be frank, kind of stink. everybody is watching you open gifts at a party. Not all of these are going to work for everybody, but you may find one or two you can use that you haven’t thought of or may have forgotten. • I’ll think of you every time I look at it (or use it). • What an original present. • Thank you for the beautiful card and a present on top of that! • Thanks for not only taking the time to think of me, but to send (bring) a gift as well. • Words cannot convey my gratitude. • Your generosity overwhelms me. • You can have no idea how much it means to me. • However did you find this! • It looks like one-of-a-kind. • Thank you for your thoughtfulness. A common trick some people use, is to comment on the beautiful wrapping paper. I’ve only on occasion been able to pull off the wrapping paper ploy. gets you something you really like, but you appreciate them thinking of you. So start gushing over the wrapping (even sometimes when it’s a good gift the wrapping can be so cool it’s worth noting) and start thanking in advance of opening the gift. Tell me if it works! • You have such great taste. • I could not have picked out a better insert item myself. • It’s exactly what I wanted. These are easier to come up with on your own so these are just a few thank you note phrases. You can also use one these thank you card sentiments for classy ways to show thanks. and nothing but the note? If you want the whole sample thank you note wording for very specific gifts, like a dust buster or fruit bowl, no worries. Check out theses links. Search all the thank you notes on this site. Click here for more gift-specific, ready to copy, thank you note samples for wedding, baby showers, or our page on funeral thank yous. • I am so grateful for this. • I truly appreciate this. • Thank you to everyone who made this possible. • Thank you one and all.